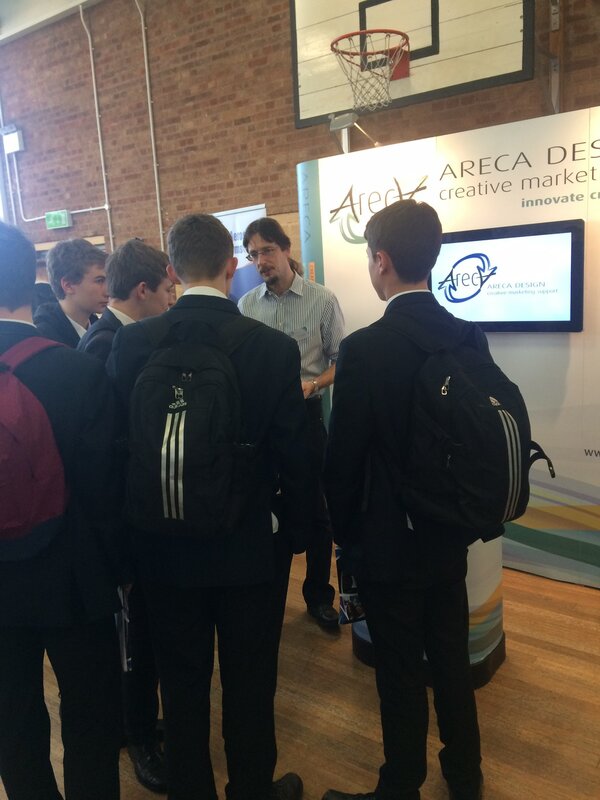 With a huge increase in the interest of Augmented Reality Apps, here at Areca Design, we have been attending a variety of business and networking events to demonstrate the innovative marketing technique. Augmented Reality (AR) has proved to be a huge point of interest during many events and is generating more and more significance as innovative marketing continues to up the game for digitalized customers! We gained a great deal of interest in Augmented Reality Apps, from businesses from many industry backgrounds. Since the event, we have been involved in further discussions with businesses within the banking and manufacturing industries, in order to boost their marketing activity and generate increased sales. 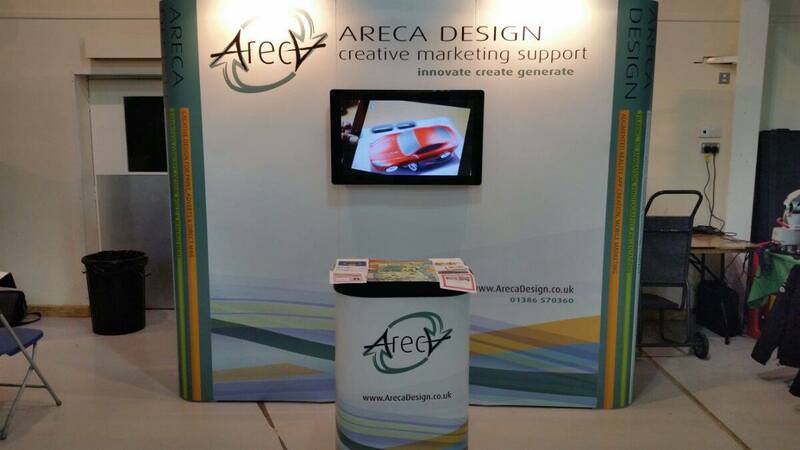 Areca Design was excited to be exhibiting at the Malvern Festival of Innovation on the 4th October. The Festival of Innovation is an excellent networking event, where delegates can discover new technologies, interact with the professionals, connect with potential partners and be inspired by new, innovative products of the future. By focusing on innovation, Areca Design provides professional, creative and strategic marketing plans and techniques that are lead by innovation. By exhibiting at the Innovation event, we gained a great deal of attention on a range of our new Augmented Reality Apps. We were also especially excited to demonstrate our new Areca Design app – to view a 3D animated version of our design studio, alongside our promotional video, head to the app store and download Areca Design AR for free, then scan our logo. Our sales team visited the Worcester Sterling Business show at Worcester Warriors Rugby Club, on Thursday 10th November, fully equipped with a range of our Augmented Reality App projects for demonstration. We gained particular interest in our Augmented Reality Apps, which bought to life 3D models, such as a flying helicopter and a detailed waste vehicle, along with virtual historic tours around Evesham and an animated, educational representation of a new wetland area, with on-screen flying animals and insects! It was a pleasure to be requested to exhibit at the Christopher Whitehead College, to demonstrate some of our recent Augmented Reality Apps in action. Not only were we excited to be present at such an esteemed college, with the opportunity to discuss the potential value behind AR applications, but to also communicate the business opportunities of such platforms to younger generations, who are already up-to-speed with the plethora of today’s digital technology. Our range of Augmented Reality Apps gained a great deal of interest and enthusiasm from the students at the event, who were intrigued to find out more about the technology itself, and propose their own interesting ideas on how Augmented Reality could be used within many different industries! We were also able to discuss recent projects and the potential of new AR projects with additional exhibitors at the event, including prestigious brands such as Yamazaki Mazak, Marks and Spencer’s, The University of Birmingham and many more. 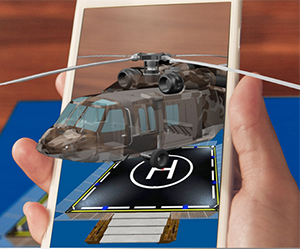 For further information on Augmented Reality (AR) Apps, or to discuss a potential project, please contact our team today.